I have been playing this for almost a year now! I love it! 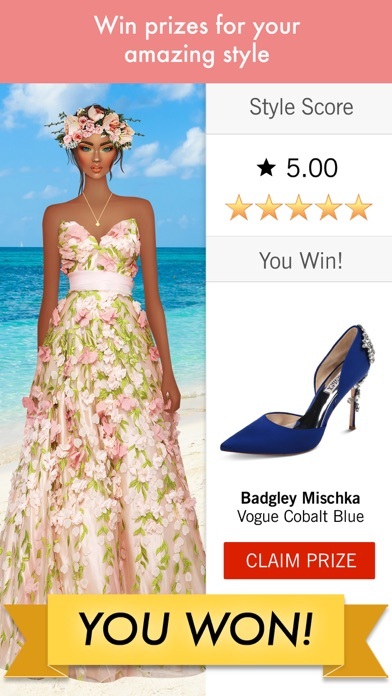 I wake up every morning and play Covet! I play it every chance I get! I give you 5 stars! Edit: But, I am a child and I’m not able to purchase credits, therefore making it difficult to win certain challenges just because of my hair. Can you plzzzz bring back the monthly challenges that give you hair accessories? If so, that would be awesome! This little thing is being y’all down to a 4... Edit: It has been a month since last edit, and I have won different hair accessories. I’ve been racking up wins in the challenges with them! Thank you so much Covet Fashion! You guys really are trying to make this an even better game. I love that you guys are bringing back the monthly challenges for different accessories! Bringing you up to a 5! I have been playing the game for several months on a daily basis. Have spent my own $$ on additional things and when I opened it to play a few days ago, it started me over as a new player. I have lost everything that I purchase and won and now back to level one! Used to be a fun game, but voting changes exposed a rigged system. I'd say pass on this one. Frequent server issues, crashes too. Little customer service, expensive. Rigged scores, unhappy players. You will need to spend real money to go very far. If your model isn’t blonde and white don’t expect to get over 3 stars. Everyone’s opinions are biased in this app and its frustratingly disgusting. Plus no one reads the challenge scenarios. For instance if a challenge says you are to dress a clean and simple bridesmaids look the creators will make a extravagant, glitzy BRIDE look and vote just based on who looks generally cooler. No one cares about challenge topics.. so what’s the point. Voting just makes no sense as well.. placing lvl 10 closets against lvl 50. You gain levels by buying more clothes so of course lvl 50 is going to have better choices..... AND if you do decide to look past all this (because I mean it is kinda fun) you HAVE TO invest your own money into it at some point and it gets expensive since you have to purchase new items for each challenge. Fun for a week but that’s all. Love the game concept, however Covets app creators missed the mark for a well developed fashion game. It’s a fun game, but very expensive. As a long time player, the gifts received use to be useable. Now only the bonus gifts, if you get 5 stars are useable sometimes, and the rest is worthless. 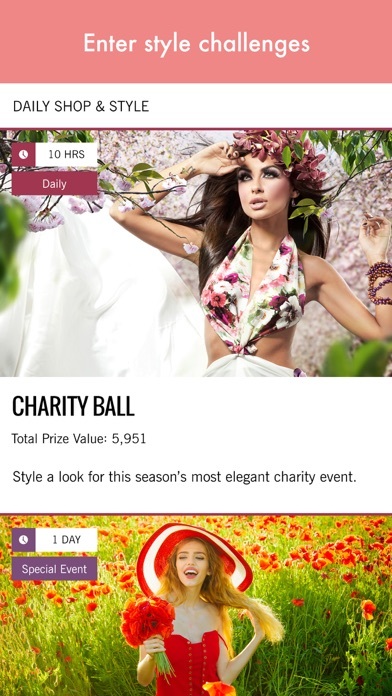 They encourage you to join a Fashion House, more money for Covet since you must participate in every event to score enough to win the Rally prizes. Ironically, when browsing thru the different Houses, most members in the Fashion Houses have quit playing and are inactive, probably for the reasons stated above. And forget about tech support. I’m convinced there is none, only automatic computer responses. And forget about using the dark skin dolls. The blonde ones always win. Sad! This game is horrible. It deleted my account and there is no way to get it back. I loved playing this game and I looked forward to doing the challenges every day! I even spent real money! Then one day, I opened the app to do my challenges like I always did, and then BFJFJDJWKKW. My account was gone. I was so mad that I almost started crying. At that point, i was so frustrated that i did not want to start over. I was level 6, which may seem little, but I had been playing for about half a year. That is not a cool move. I do not recommend this game for anyone because one day you will feel like it is heaven on earth, and the next day, everything that you know and love will be gone forever. It was so disappointing and I do not want anyone else to undergo the same amount of sadness. Do not download it- your heart will break! This game WAS so fun. My friends and I USED TO do challenges together. I had a pretty good closet value. But RANDOMLY my account got deleted. EVERYTHING WAS GONE!!! Including all of my friends accounts. This game is horrible. You work hard doing the daily challenges to earn cover cash and they are just like “NOPE”!! The challenges were also judged unfairly. My friend and I would enter the same exact look and get different scores. COVET!! FIX YOUR GAMEEEEEEE!!!!!! This is a great game. I enjoy playing it. I am level 7 now and I love creating looks. BUTTTTTTTTT MY FRIENDS NEVER LINKED THEIR EMAILS SO THEIR ACCOUNTS GOT DELETED. I HIGHLY RECOMMEND PUTTING IN YOUR EMAIL. ☹️😬🤩 COVET FIX YOUR GAME!!!!!! I lovED the game but then it deleted my account. I was so far in the game. Don’t get the app it’s a waste of time.